This listing is for the April 2016 Addicted to Holos box preorder. Please note that we have changed formats so that we can make the box more affordable! This month's feature makers include feature brand Paint Box Polish, and original brands Philly Loves Lacquer, Sweet Heart Polish, and The Polish Bar. The Polish Bar - Best Day Ever: Sky blue holographic polish with silver glass flecks. 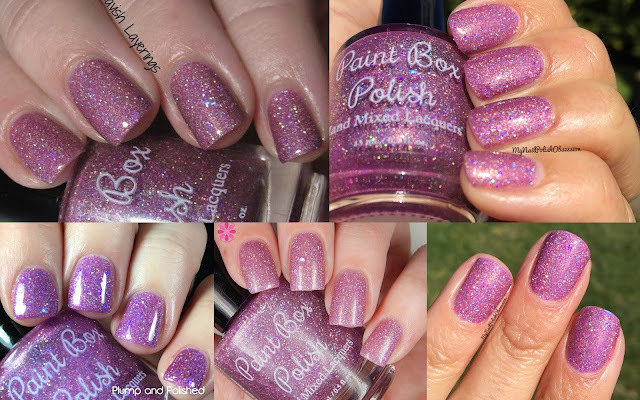 Paint Box Polish - Orchideous: An orchid pink linear holographic polish with silver holo glitter, gold shimmer, and purple flakies. Philly Loves Lacquer - Like a Moss: Bright neon green holo crelly with green/gold/pink UCC flakies and holo micro glitter. 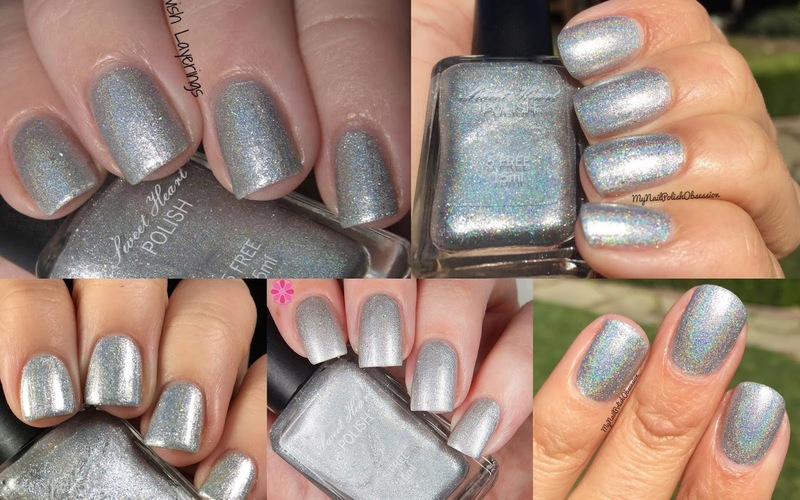 Sweet Heart Polish - Over the Rainbow: Shiny silver linear holo with blue flakes and silver holo micro shreds.